A key task of a professional facilitator is to assure the quality of the knowledge products created through collaborative effort. To manage the quality of the knowledge a group generates, facilitators attend to, judge, and question the quality of the contributions a group makes, the decisions it makes and the commitments its members make toward achieving the group’s goals. 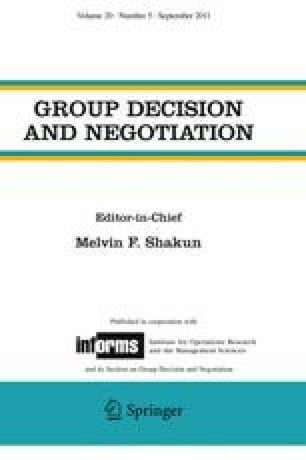 When facilitators or group members detect deficiencies in ideas, decisions, agreements, or artifacts, facilitators may need to intervene to support the group in improving the quality of their output, without disrupting the flow of the group process. In this paper we present a framework for quality assessment and a toolbox with flexible interventions that can be added to a collaborative process on the fly as soon as quality deficiencies are detected. The toolbox is a set of conditional adjustment interventions that a facilitator can add to other facilitation techniques so as to guard the quality of the group’s intellectual products. The toolbox can also be used as a starting point for designing intelligent agents that support the automatic detection of quality deficiencies.